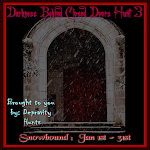 Darkness Behind Closed Doors Hunt and more! Cummere Mayo: Owner Cummere Mayo Creations. Long time Hunter and hunt organizer. On Break for RL things. Shellie Pearl: Owner of Demotik. A fixture in several hunts as well as the SL goth community. We are looking for assistants, who are motivated, creative & have good communication skills.